Bus Route 9 is a circular route around residential areas in Pembroke and Devonshire. Buses on this route call at the Bermuda National Sports Centre. Aside from that, there’s little of interest on this route. Buses run every hour with the first bus leaving the Central Terminal in Hamilton at 7.15 am. 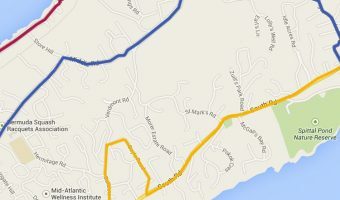 The journey from Hamilton to the Bermuda National Sports Centre is around 10 minutes.